Individuals who are diagnosed with psoriasis experience emotional challenges. They are often embarrassed and self conscious due to the unsightly appearance of this skin disease. Though no absolute empirical cure has yet been discovered, following certain life style changes and skin care management will provide patients with a guideline for controlling the disease. Doctors tell their patients that medications have only about a 30% role in the management of psoriasis. The other 70% involves lifestyle adjustments. 1. Be sure to maintain good health habits. Psoriasis flare ups can occur when you are weak or tired. Pay attention to your sleeping habits and get at least 7-8 hours of sleep a day. Exercise moderately 3-4 times a week and watch what you eat! You can calm the interior environment of your skin by doing simple things like avoiding red meats and alcohol. Make fruits and vegetables a priority on your shopping list and drink plenty of water daily. Eating right, exercising and getting enough rest will help maintain the equilibrium of your mind and body which is essential to reduce the psoriasis flare ups. Another important factor causing psoriasis flare ups is infection. You can reduce the possibilities of getting infections by maintaining good health habits. 2. We already know that smoking is detrimental to our health in so many ways. Many studies and research show that psoriasis is aggravated by smoking and that the severity of the psoriasis may be linked to smoking. It was found that the patients who stopped smoking experienced a faster healing process for their lesions. Therefore, it is vital that you stop smoking if you want to get rid of those unsightly itchy, scaly, red patches. 3. There is no doubt that alcohol is a trigger for psoriasis. Even moderate consumption of alcohol (a glass of wine or beer) can cause flare ups in psoriasis. So avoid it! 4. Stress has always been known to stimulate all types of psoriasis. Just like hypertension or increased blood pressure, psoriasis can be regarded as a life style disease. Psoriasis is genetically predisposed and can be caused by psychological, neurological, immunological and hormonal triggers. Stress can destroy your body both physically and emotionally, so it must be managed well. Psoriasis patients should take the time to educate themselves on stress management techniques such as relaxation, biofeedback, and exercise such as yoga. Some psoriasis patients may want to seek counselling or psoriasis support groups if they find it difficult to relax by themselves. 5. Take good care of your skin by keeping it moist and supple. Regular daily use of emollients to soften the skin and moisturizers to lock in the skin’s own moisture will prevent the itching and pain of dry skin. 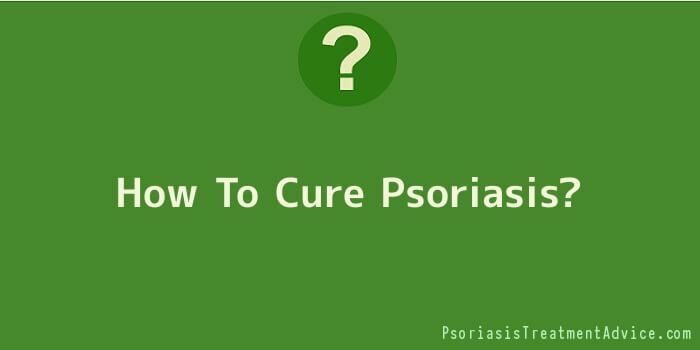 Any dryness will increase the scaling, flaking and itching which will aggravate and inflame the psoriasis. The use of emollient creams and ointments should be increased even more during winter months because dry, cold weather aggravates the psoriasis. Remember to moisten the skin first with lukewarm water then apply the moisturizer. The best time to apply your moisturizer is when you get out of your bath or shower while your skin is still wet. Buy a humidifier for your home and your workplace. A humidifier can increase the moisture in the air during winter months and help prevent skin dryness. The same can be true of warmer climates due to the use of air-conditioning. Air conditioning can dry out the skin and aggravate psoriasis the same as winter! So make an effort to keep your AC at a moderate coolness. Moisture is one of the most important factors in protecting you against chronic itching and skin flaking produced by the accelerated growth of skin cells. By applying moisturizers frequently the psoriatic plaques will become soft, and decrease the itchiness. This will help prevent you from scratching and picking at your plaques. Exposing yourself to natural sunlight can be good for your health because it activates the body to produce Vitamin D. Even frequent short periods of sun exposure may help reduce flare ups. However, be very aware that overexposure to the sun for a long period of time can trigger psoriasis flare ups. Always avoid getting sunburned. Psoriatic plaques consist of thick, crusted skin found on top. The best way to safely remove these plaques is to soften them first with moisturizers and emollients. You do not want to try to remove the dry crusted skin simply by picking at them all day long! After you have moisturized your plaques sufficiently to make them supple and soft, then you can peel them off. However, if you notice that the skin is becoming raw during the process of peeling them off, stop!! Follow up with your dermatologist on the best way of removing the plaques without injuring the skin underneath. The removal of crusted skin is recommended because it aids the effects of any topical agents that may be applied. The topical agents will be allowed to penetrate deeper in to the affected areas of your skin and attack the inflammation and accelerated skin growth. Even though there are so many treatments available for psoriasis, there is still no guarantee they will work for you. You may have to experiment with different treatments and record your results for each one. This may allow you to discover the best treatment for you. Finding the right treatment does take time and some hard work. It can also include having to make a financial sacrifice. Treatments, like UV therapy, do cost money because they are performed in a doctor’s office. Stress can destroy your physical, mental and emotional wellbeing. It is known to be a major trigger for psoriasis and can have a negative effect on the immune system. Stress must be managed well. Think of your body as a sacred temple. Take care of it by avoiding processed foods, sodas, and other artificial goop. These can also be harmful to your immune system allowing diseases such as psoriasis to persist. Fresh vegetables, fruits, and organic meats are the orders of the day. Make them always a priority on your grocery shopping list.